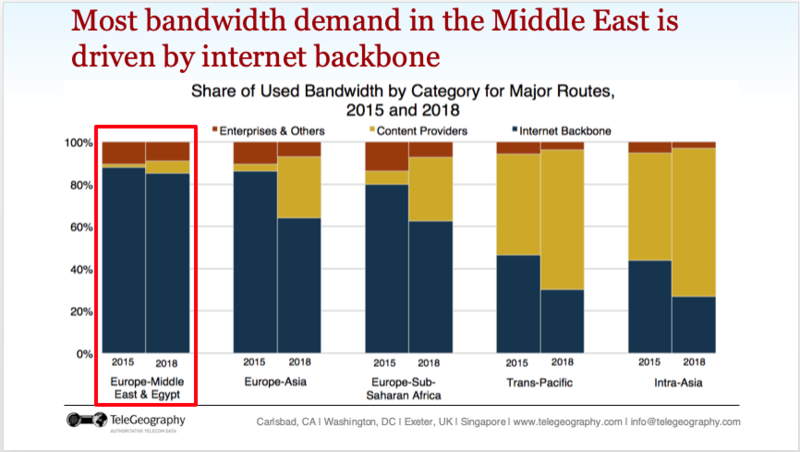 For starters, international bandwidth connected to the Middle East is growing. However, the majority of deployed bandwidth connects the region to Europe. This trend has remained consistent over the past few years. And while the increase of bandwidth to the Middle East is remarkable, total bandwidth as an absolute number is small compared to other regions. 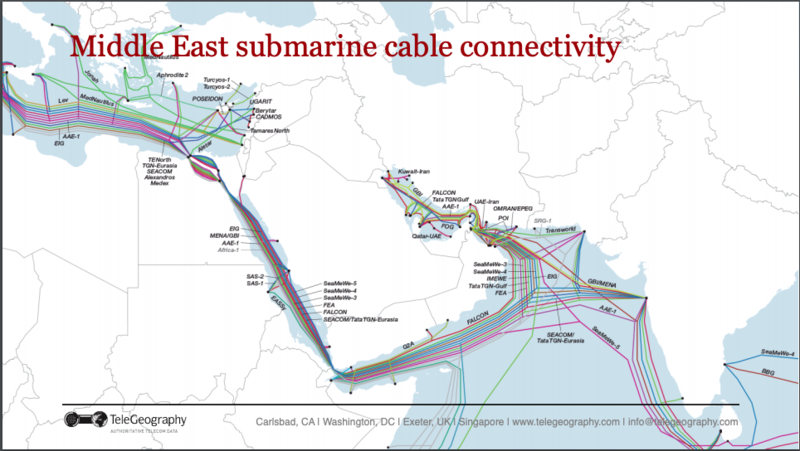 While we're making comparisons—internet backbone providers accounted for the majority of deployed bandwidth on Europe-Middle East and Egypt routes in 2018. This is notable when viewed alongside other major international routes where content provider demand is strong. New cloud data centers are coming to the region, which could make this graphic look pretty different in the years to come. Only time will tell. When it came time to talk prices, Kate highlighted the way in which 10G wavelength prices are falling globally. Yes, this includes the Dubai-London route, although Dubai-London still commands a premium price compared to other global routes. There's a lot more info stuffed into Kate's excellent presentation. Click below to download her slides. Want to take a look at the whole thing? No problem. 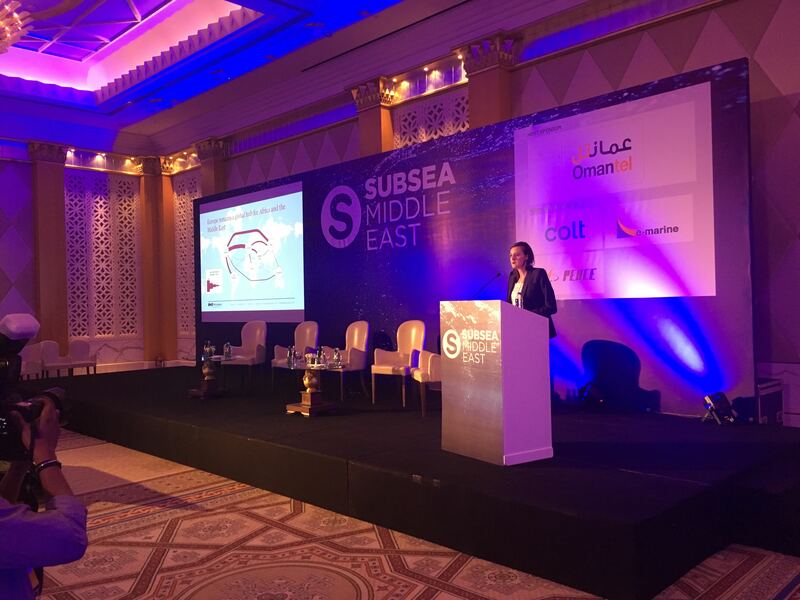 You can download all of Kate's slides here. Kate Reilly is a Research Analyst at TeleGeography. 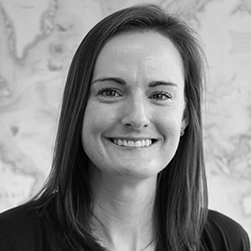 As part of the pricing team, Kate contributes analysis to both enterprise and wholesale products.